The body of Piyash Roy, who was killed in US-Bangla plane crash in Kathmandu, reached his home in Shitla Khola area of Barisal district early Friday, reports UNB. An ambulance carrying the body arrived here around 3.30am. 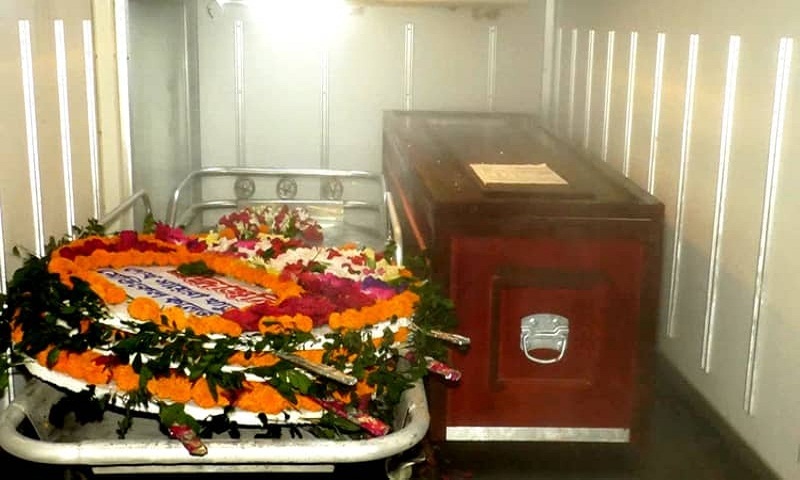 Earlier, family members received Piyash’s body from Hazrat Shah Jalal International Airport on Thursday afternoon where a flight of Biman Bangladesh Airlines, carrying the rest three bodies, landed at 4.09 pm. The body of Piyash, who was an MBBS student of Gopalganj Sheikh Sayera Khatun Medical College, was first taken to its campus around 12.45am. His family members said his funeral will be held around 11am today. On Monday last, the identified bodies of 23 Bangladeshi passengers were brought back by a cargo aircraft of Bangladesh Air Force.